Canâ€™t wait to see your new home under construction and visiting the jobsite during the evening and weekends to sneak a peek? As long as you stay out of the way of the workers, itâ€™s okâ€¦right? In fact, itâ€™s not ok to visit your new home under construction when the land and home is still owned by the builder, unless you are invited by the builder to do so. Some homebuyers think that they need to verify that the builder is doing the job right, or is worried that the builder is keeping them away from the site to try to â€˜cover upâ€™ any shortcuts. This is simply not the case. Homebuilding comes with a lot of risk and the stakes are high. The site supervisor in charge of building your home has a great deal of responsibility to protect the safety of everyone involved, and also the valuable land and materials that have been invested. He or she is the foremost expert on health & safety policies as well as current building codes and regulations. Trust that they will get it right, and if there is a mistake, they will make it right in the end. Building codes and mandatory warranty will ensure that you are protected if something does go wrong. 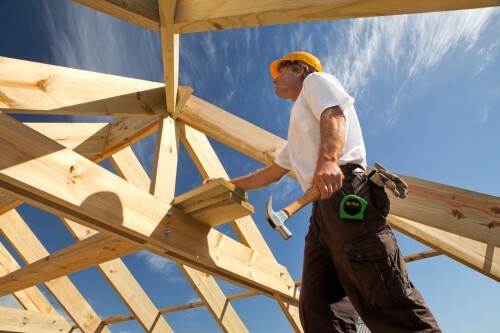 Approximately 25 per cent of all lost-time injuries within the construction sector occur in homebuilding. Lowering this figure means thinking about every aspect of safety on a worksite. Many people think of safety and visualize hard hats and safety boots, but it is much more than that. It entails everything from wearing and using the proper equipment to preventing falls from heights, securing worksites to prevent people from wandering into dangerous situations, and ensuring proper containment and ventilation for work that involves poor air quality such as silica dust or low oxygen levels (carbon monoxide). Some builders may not allow further changes at this point, so please check with your builder if you are not sure. Secondly, but equally important, your builder will want to confirm that they have built your new home and your selections at the quality level that you expected from the builder. The building representative will guide you through, room by room, and explain the operation and maintenance of your new home, while documenting any items for repair or touch-up. Those items will be covered under your new home warranty and corrected prior to possession when possible. 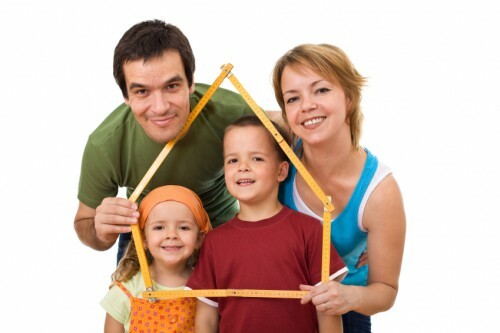 The meeting lasts approximately 2 to 3 hours, depending on the size of your home. Please note that this appointment is conducted with the legal homebuyers only, or someone that you specify in advance as a designate. Your builder may allow for more opportunities to visit your home at your request. In all cases, you need to be accompanied by a builder representative, wearing the appropriate safety gear, and without the kids â€“ children are never allowed on a jobsite. Making sure all parties involved in the project are aware of the hazards and controls at the start will make for a more pleasant experience for everyone. Unscheduled visits to the construction site while your home is under construction are strictly prohibited and may involve the site supervisor asking you to leave. Let your builder focus on what they do best â€“ building your home â€“ and admire their hard work from a safe distance.